Find your perfect property in Cyprus, search thousands of properties for sale in Cyprus and rent in Cyprus with iListers (World Property Social Network). Upon retirement, there are many who decide to permanently settle in Cyprus. If this is the case, it may be useful to get a property management company like PCF Property Management to look after the property for you. There are a number incentives that these retired people may find interesting. For example, there will be low taxation on the pension they receive from abroad. The first annual €3,417 will be exempt from tax but the remainder is subject to tax at only 5%. Under certain circumstances, they can also benefit from any double taxation treaty concluded between their country of origin and Cyprus. It is worth noting that the double taxation treaty is in effect with more than 40 countries. However negotiations with further 20 countries are still in progress. Note that there is no tax on inheritance in Cyprus. Those non-Cypriots who live for a certain period of time in the capacity of employees lie within this growing category. That is, they can be the employees of either a company owned by them, or of a domestic/international company. This category also includes those employees who prefer to purchase a house of their own in Cyprus. Of course those people do not plan to live in rented properties. The international companies that intend to purchase houses for their own directors are also categorised as economically active residents. there are many who tend to purchase property in Cyprus as their holiday homes. They may want to permanently reside in Cyprus upon retirement or later sell their property at a profit. There is a chance for this profit to be repatriated but it is subject to tax on capital gains. They are non-Cypriot individuals or foreign companies that purchase property in Cyprus for the purposes of tourism, business, or industry. They tend to buy properties in Cyprus in order to take advantage of the country’s climatic and geographical conditions. The tax incentives offered in Cyprus are the lure that these people cannot resist. As a member state of the EU, Cyprus has amended all the laws restricting property investment by the citizens of the other member states of the EU. However, it concluded an agreement with the EU on a five-year transitional period that prevents those EU citizens who are not considered as Cyprus permanent residents from attaining secondary residency. This has been done to protect the sensitive market of property in Cyprus. It is worth noting that the aforementioned transition period is no longer into effect. This offers EU citizens the chance to be the owner of as much property as they wish. 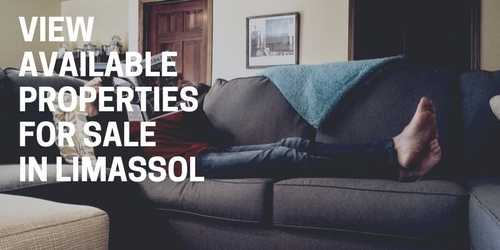 An EU member state national is allowed to purchase as much immovable property as they wish. Note that the term entails both property and land in cyprus. When the property Title Deed becomes available, the owner is required to offer proof of citizenship. They can take their passport to the office of the District Lands to obtain the proof in case they have paid the Property Transfer Fees. 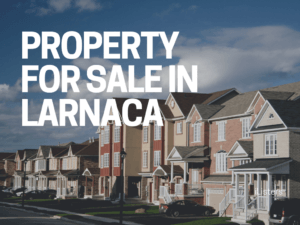 How Can non-EU Citizens Acquire Immovable Property in Cyprus? A land or building plot up to around 4,014sq.m. *If you wish to develop property or take over a hotel, the Council of Ministers will then grant you the permission to be the owner of more than one building. How to Obtain the Council of Ministers’ Approval? either for the residential development of estates or for the construction of a house or block of flats. Applicants are not required to provide a copy of the building permit if the titles of ownership have been issued separately for the flats of a block or if the house is indicated in the tile of ownership. This is not the case with the very old houses indicated on the title of ownership. In case plots are supposed to be divided, a division plot must be provided. The submitted plan must show the position of the house that is located within the areas of residential development. by their embassy. This document is required if the spouses do carry the same surname or if the husband’s name is not mentioned in the wife’s passport. The copies of all the pages that contain the holder’s photo and information as well as stamped arrivals and departures to and from Cyprus. that is fully and clearly completed. of the applicants in Cyprus. information on the activities of the company in Cyprus and on its Cypriot and foreign staff along with their social insurance numbers must be provided. A copy of the company’s Articles of Association must also be submitted. the certificates of shareholders, of the registered offices of the company and registration must be submitted. All property owners in Cyprus are deemed liable for annual tax under the “Immovable Property Tax” law (1980-2004). Whether or not they are a resident of Cyprus, they are required to pay the annual tax on the total value of the immovable property they own. The tax on property is annually paid to the Inland Revenue Department and is based on the property market value calculated on January 1st, 1980. Owners will be exempt from paying this tax in case the value of the property assessed in 1980 is less than €12, 500. How to Calculate your Liability for Immovable Property Tax? Land registry system in Cyprus: In this system, all immovable property is registered. The term property is a reference to buildings and land, rivers, plantations and trees, wells, and also the rights associated with them. Lord kitchen is known to be the organiser and director who established the modern Land Registry Office in Cyprus. In the years after 1878, he was sent to Cyprus to produce the first map of Cyprus. The map was modern and scientifically prepared. Title Deeds in Cyprus: Also known as “Certificates of Registration of Immovable Property”, Title Deeds are indeed official documents that indicate the ownership of the property. 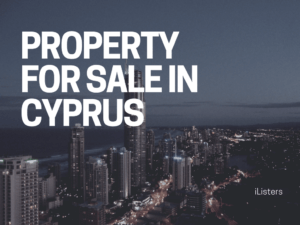 All immovable properties in Cyprus have Title Deeds containing information on the size of the property, its location, its registered owner, and the reference of the Lands’ Office. There are expatriates who tend to boast about the money they have saved and avoid purchasing their Deeds from the Land Registry. This is because they may believe that there is nothing wrong with purchasing property without obtaining ownership. Deeds are part of your right and you don’t have to purchase them. Let’s see what advantages and disadvantages are associated with refraining from purchasing Title Deeds? If you refrain from buying Title Deed, you won’t pay Property Transfer Fees required to register the ownership of the property in your name. You won’t be entitled to own your property and thus will be unable to fully take advantage of the property ownership (e.g. the right to transfer or sell the property to anybody you wish with no reference to its owner who is registered). If you choose to sell the property, you are required to either cancel or transfer the contract of sale at the Land Registry that enables its registered owner sign a new agreement with your buyer. There are instances in which some buyers have been charged over €34,000 by a dishonest property developer as the registered owner. However there are chances that such despicable practice may be stopped by a recent court ruling. The legal owner of the property on which your own property is constructed can under certain circumstances raise the mortgage on the land without asking for your permission even if you have already paid him. The property legal owner can reschedule the loan, extend it, and increase it, etc. without your knowledge or consent if you have a property already mortgaged when you purchased it. Buyers without Title Deeds are mostly preyed on and extorted a large sum of money by property developers who overcharge them under the pretext of Immovable Property Tax. You are unable to access the capital you have invested in your property through equity release loans or any other schemes. Also, you are not allowed to raise money against it. 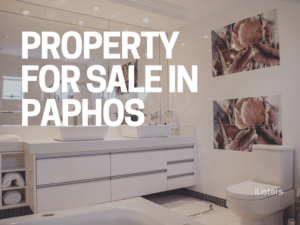 Anyone who intends to purchase your house must pay in cash as the financial institutions in Cyprus are reluctant to offer mortgages on resale properties that carry no Title Deeds. Unfortunately there are many who are ignorant of the issues they may be faced with in case they do not have their own Title Deeds. They will know more of these problems when they happen to put up their property as collateral in order to raise their loan, or when decide to sell their property. They will also experience similar problems when the property developer illegally asks for money to pay Immovable Property Tax. 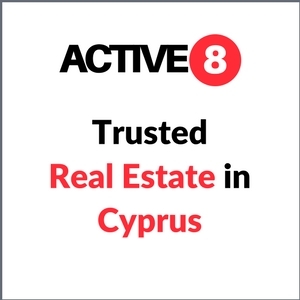 When you purchase any type of property in Cyprus, it is necessary that your lawyer deposit your sale contract with the District Lands’ Office within six months from the date it has been signed. Known as Specific Performance, this practice is basically meant to protect the buyer’s interests from possible offences committed by the seller. In fact, it grants you the ‘right to own’ the property as soon as both the seller and you have performed the obligations as indicated in your sale contact and once the Title Deed has been issued. It is a fallacy that some in the property industry claim that there is no equivalent of Specific Performance in the UK providing buyers with added protection. It is at the discretion of The High Court in England and Wales to award damages and Specific Performance to a claimant, under Section 50 of the Supreme Court Act 1981. The vendor is not required to clear mortgage on the property before your lawyer gets the chance to deposit your sale contract at the Land registry. Vendors have the chance to extend or reschedule existing mortgage without asking for the buyer’s permission. In case the lender forecloses on the mortgage, precedence will be given to their claim on the property over the claim you may make on ownership. The reason is that before you claim on ownership when your sale contact is deposited at the Land Registry, the mortgagee’s claim already exists. In order to avoid the above mentioned problems, you are needed agree to pay a proportion of the mortgage to the mortgagee that is usually a bank in case you choose to purchase a property. You must also do so if you realize that the land on which it is built or the property itself is already mortgaged. It is impossible to force the owner to make the Title Deed available. For example, it is impossible to do so without recourse to the courts of law. This is the case particularly if the land on which the property is constructed is to be subdivided prior to the issue of its Title Deed. Under certain circumstances, the seller can still mortgage the land on which your property is being constructed without asking for your permission. This is the case if you fail to repay a proportion of the vendor’s mortgage as indicated above. The seller can do so even when you may have fully paid for the property. You may be unable to seek Specific Performance if you fail to transfer the property ownership to your name whenever the Title Deed is made available. The instances pointed out above can seriously put you in an invidious position. Note that it will cost you much time and money if you choose to take a case to the court. Even if you avoid pursuing the issue, all beneficiaries of your Will, including your children, will receive less than what you bargained for because of the legal fees incurred to resolve the issue. How to Discourage the Seller? To discourage the seller from delaying raising the issues, your lawyer can incorporate penalty clauses in your contract of sale. Remember! There is no cast-iron guarantee that the issue will be resolved without recourse to the court. So it is better to have the Title to the property registered in your name. The law on Specific Performance in Cyprus gives you the ‘right to own the property’ you have purchased according to the lawyer George Coucounis. Exercising this right may at times prove difficult without recourse to the court, if not impossible. Based on your Contract of Sale, the seller and you, as the buyer, are required to fulfill your obligations. Accordingly, the seller is protected from any possible breaches of the contact that you may commit. For example, if you are late to make a payment, you may have to make a penalty interest payment. Likewise, you are also protected as the buyer from any possible breaches of contract that the seller may commit – if you have hired a competent lawyer. For example, if the property developer fails to deliver it as scheduled, you should be able to claim compensation. Once the seller and you have fully met the obligations indicated in the contract, the Specific Performance law can protect you more. If both the buyer (you) and the seller are ready to transfer the ownership providing that the District Land’s Office has been provided with the Contract of Sale, the seller is then required to transfer the ownership of the property to your name within six months. In case the seller fails to do so, the buyer (you) can apply for a court order urging the District of Land to immediately transfer ownership. When deposited at the District Land’s Office for Specific Performance, it can make a claim against the property you have chosen to purchase. This prevents the seller from changing his decision on either selling to you or to someone else. Once the Title Deed for the area of the property has been made available, the Property Transfer Fees you must pay are calculated according to the property market value on the date the Sale Contract has been signed. In case your lawyer for whatever reason fails to deposit your Sale Contract for Specific Performance, the Property Transfer Fees you must pay will then be calculated based on the property market value when you visit the District Land’s Office to obtain ownership. Buyers usually prefer transfer fees to be based on the earlier value of the property as the value tends to increase. Under the new law the buyer can more easily liquidate the immovable asset through courts. Also, a sale contract that is deposited at the Land Registry is considered as a mortgage holding all the rights a secured creditor does. The Specific Performance Law in Cyprus is mainly meant to protect the buyer from any possible offences committed by the seller. In fact, it offers you the ‘right to own’ the property you have purchased as early as both you and the seller have met the obligations as indicated in the Sale Agreement and the Title Deed. Many holiday-makers who visit Cyprus happen to fall in love with the country and thus rush to purchase property on this island. Unfortunately, many of them fail to realise that choosing the country as their permanent home is totally different from visiting it as a holiday spot. There are also some people who discover too late that the island is not the right choice for them. When their excitement fades away, they will gradually realise that living in a country with a different culture, language, and customs is not that easy. These people often hasten to purchase property in Cyprus but later find out that they have made a wrong decision and regret it. Then they have no choice but to return home or move to a different place in Cyprus that suits them. So: To avoid such a mistake, it is better not to rush into purchasing property in Cyprus. In case you are looking for something new, purchasing an off-plan property in Cyprus is a good choice as long as you are not concerned about how it is designed. You should consider purchasing a resale property in Cyprus if you tend to take the delivery of your property as early as possible. If you prefer to live within a traditional village, you should consider purchasing an old village house in Cyprus that needs some renovation and care. In case you care about the design of the property and are prepared to put enough time and energy into finding what you dream of, you should consider purchasing a custom property in Cyprus. To do so, you firstly need to purchase land where you can build your dream house. Note that all the options discussed above have their own downsides and upsides and you need to take them all into consideration. What is popular with most expatriates is to purchase a new property off-plan in Cyprus (an off-plan property is the one that has not been constructed yet and is still at the stage of planning). One of the benefits associated with such practice is that the buyer can make payments at the time when the main part of construction has been completed. This affords buyers an opportunity to make payments gradually; they are not required to pay in one single sum. It is not hard to find off-plan property for sale in Cyprus. You can see adverts targeted by property developers that are placed at airports, hoardings on highways and many other places. Many of these developers actively attend international property fares held in the UK and they also advertise in the domestic and international media. The way you purchase an off-plan property in Cyprus is as simple as the way a new house is purchased from a property developer in the UK. However, there are many who have not found this practice as straightforward and simple as it may sound at the first sight. You can find many property developers in Cyprus who complete construction projects on time and also within your budget. But this is not the case with all developers as some of them are dishonest with buyers and tend to cheat them. Unfortunately, almost everyone can easily set up this business in Cyprus as there is no an authority to supervise the industry, nor a sophisticated licensing system. Resolving infringements associated with planning takes a long time and you have to wait for the infringements to be first resolved to receive your Title Deeds. If the infringement is deemed serious, a Demolition Order will be issued against the property owner or its tenant who has unlawfully been involved in a construction project. Before you go any further, you should make sure about the financial standing of the developer. You should make sure about the after-sale services the developer offers as well as the quality of his work. Ensure what the developer promises to supply is indicated in the contact in detail and is attached to it along with the structural and architectural drawings of your house including dimensions and the land. Once you have reached an agreement on the price of your off-plan property and its specifications, you should not make any changes. In case you cannot be available in Cyprus when your property is under construction, you should appoint a company or a person who is reliable to represent you to supervise the construction project. Infrastructures such as parking areas, roads, external lighting, sewerage, water, and landscaping. Communal services such as tennis courts, swimming pools, etc. Note: Never make any payment before you ensure that each stage of construction is completed as indicated in your contract. In an ever-growing market, there is always a possibility that the price of the property may increase before you take the delivery after you have signed the contract. The time spent on building the property is expected to be quick. So you can expect to take the delivery within 12 to 18 months. When you decide to purchase an off-plan property in Cyprus, your day-to-day involvement will be considerably less compared with the time you purchase a custom house. 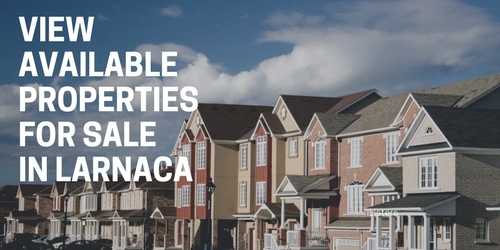 There is a chance to choose the location of your property. You can choose the layout from the standard designs that the developer provides. You will have the chance to make some change to the design with help of the architect working for the developer. 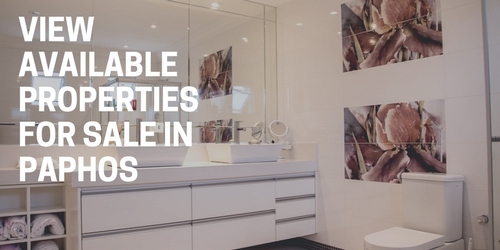 It is possible to choose fixtures, fittings and finishes from a selection that the developer provides. Purchasing an off-plan property will cost you more than a custom or resale property. Off-plan properties in Cyprus are not recommended to those who are not prepared for whatever reason to wait for the property to be constructed which usually takes between 12 to 18 months. There are always hidden extras. To be specific, some items that are expected to be in the selling price such as insect screens, window shutters, central heating, double-blazing, air conditioners, or even garage doors may be charged extra. It is possible that the offered range of fixtures and fittings to be limited and also comparatively expensive. You have to pay a high Property Transfer Fees. It might take you many years to receive your Title Deeds. No allowance to make changes to the property without the developer’s consent until the Title Deeds is registered in your name. You will to demolish any changes you have made if you have not obtained Planning Permission. Possibility of inability to not sell the property if you have not received your Title Deeds. In that case, you will need the property developer’s consent. Note that some property developers create a condition that you may not be comfortable with. For example, if you decide to sell your property, you will have to do it with their consent or cooperation. You also need to be careful about the contract cancellation and resale property scams! Search for property in Cyprus with iListers.com (World Property Social Network) – the best place to search for Cypriot property and part of iListers.com, the World number one property website. Stunning scenery, beautiful beaches, and ancient ruins – Cyprus is an island paradise in the Mediterranean Sea. With plenty of villas, house, Land for sale and apartments for sale, you can find your dream holiday property in Cyprus on iListers.com because iListers.com is the best place to find the latest property in Cyprus. Cyprus draws on a rich patchwork of cultures, having seen everything from Middle Eastern to Western European inhabitants over the last 9000 years. This makes Cyprus a totally unique and distinctive country and a wonderful place to live. The third largest island in the Mediterranean Sea, Cyprus is home to a diverse range of landscapes and cities. 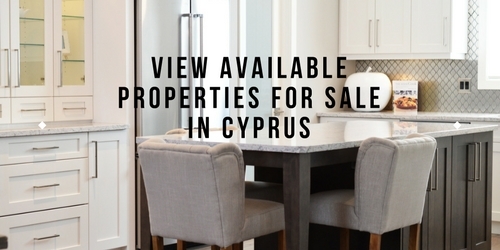 From the pine-clad Troodos Mountains in the island’s interior, to the bustling streets of Nicosia, you can find property in Cyprus in some stunning locations. Many people head to Cyprus for the classic spotless beaches and turquoise waters. Resort towns such as Ayia Napa attract thousands of tourists looking to party into the night. More sedate villages and towns are dotted right around the coast, with some superb property in Cyprus for sale. Property in Larnaca, property in Paphos and property in Limassol all offer wonderfully historic surroundings in some of the best towns in Cyprus. All throughout the island you can find property near shaded vineyards, ancient monasteries, sandy beaches, citrus groves and castle ruins. Cyprus is one of the most vivid locations in all the Med! Property in Paphos, a popular coastal town in the southwest of Cyprus offers buyers spectacular scenery in some of Cyprus’s nicest beaches. Though the currently inhabited city is New Paphos, there were two Cypriot locations called Paphos in ancient times: Old Paphos and New Paphos. Thanks to the town’s rich history property in Paphos is varied and diverse with something to be found no matter what your taste. A well liked tourist destination, Paphos is home to beautiful beaches, whitewashed villas and its attractive harbour lined with bright fishing boats and restaurants. As well as being a great holiday and second home destination, Paphos offers magnificent history, culture and architecture. And as Cyprus enjoys such fantastic weather, your property in Paphos could pay for itself should you choose to rent it to others when you are not using it yourself! The second largest city in Cyprus, Limassol is located on the islands southern coast and is the capital of Limassol District. 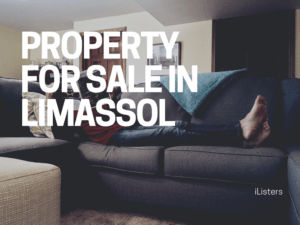 Property in Limassol is plentiful on the seafront; ranging from luxury Limassol villas to the more modest apartments in Limassol. 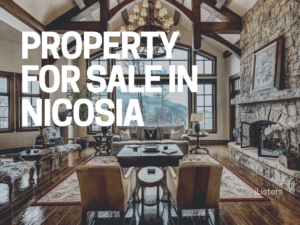 Limassol is the heart of the wine making industry, so a property in Limassol would be perfect for weekends and holidays spent walking through the city streets after evenings spent wine tasting. Larnaca, the oldest living city of Cyprus and situated on the island’s west coast, is home to Cyprus’ major international airport – Larnaca International Airport; making visiting your property in Larnaca nice and easy to get to! It is the island’s second largest port and is an important tourist resort as it is one of the major seaside resorts in Cyprus with numerous beaches in around the city which extend approximately 25km. When buying a property in Larnaca, you benefit from the proximity to fantastic beaches as well as being close to the facilities and amenities of the major tourist resorts. The main beaches in Larnaca, Phinikoudes and McKenzie; both have been awarded Blue Flags for environmentally cleanliness. Along the Larnaca Bay there are luxury beach hotels, apartments in Larnaca and villas in Larnaca with the city itself offering a wide variety of restaurants, taverns, cafes and bars. Famagusta boasts to have the best beaches of Cyprus. The golden sandy beaches of the district gently embrace the eastern corner of the island. The popular holiday resorts of Agia Napa and Paralimni have been called a veritable paradise for anyone who loves the sea and watersports. The charming scenery includes the tiny fishing harbour of Agia Napa, the mediaeval monastery at the heart of the village and the windmills and churches of Paralimni & Protaras. This region is the main potato producing area on the island, and is known as ‘Kokkinochoria’, which means ‘red soil villages’. The villages of this area are equally known for their folk poets, who are regarded as the best on the island.